Wei Leng Tay is a visual artist working with mediums including photography, audio, video and installation. Aside from her own projects, she is in the collective project Sightlines (2016-) which questions collectivity through conversation and image-making. Previously, she worked as Deputy Picture Editor for TIME Magazine’s Asia edition and as a photo editor for Bloomberg News in Hong Kong. 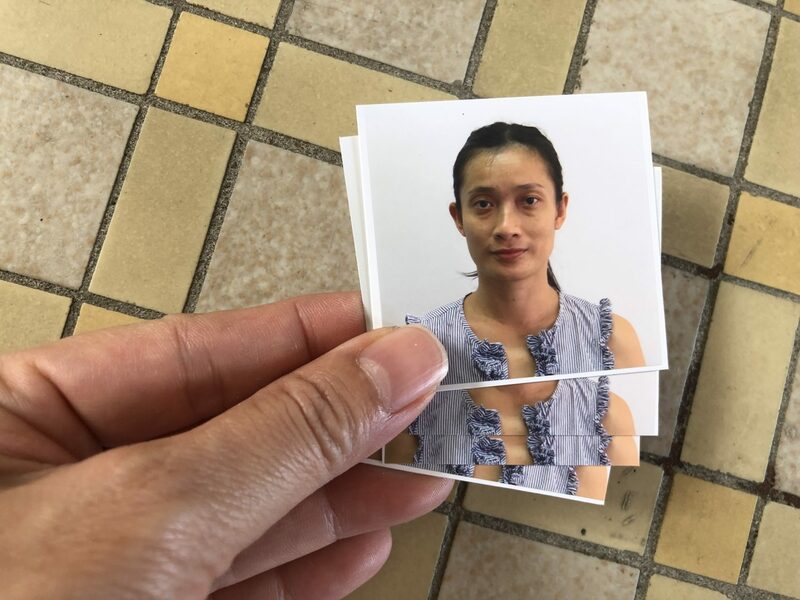 Wei Leng is the curator for the Open Category for the Objectifs Documentary Award, and shares her thoughts about the relationship between artist and curator, and how the articulation of documentary work has changed in Southeast Asia. You’ve curated shows and have also worked with curators in the course of your artistic practice. What do you find valuable about the artist/curator relationship? Over the years I have worked closely and formally with other artists through workshops, collective projects and exhibitions, and also informally as artist friends and myself have helped each other with installation and thinking through projects. I have also worked with curators — in shorter term projects, where my work is one of several in a group exhibition, and the interaction and conversation is somewhat brief, and in longer multi-year projects where the collaboration with the curator involves in-depth sharing of knowledge and conversation. What I find interesting and potentially productive in these collaborations is the negotiation of the line, and the gap, between artistic agency and curatorial decision, be they in a gallery space, in a publication, or in a performance or activity. When I speak of the line, it can be as simple as the space a work might need around it, to the meaning created in the juxtaposing of works in space or publication. And when I speak of the gap, it can speak to how the agendas of institutions and/or individuals manifest in the presentation of the work, and how much of that actually overlaps with the intention of the artist, and how these two different desires can be negotiated. The tensions that come about because of these negotiations can often create new meaning, new insights, and shift how a particular work can be contemplated. These are moments of value for me, that the curator and artist can make something together where the sum of these parts might be greater than the individual components. The tensions that come about because of these negotiations can often create new meaning, new insights, and shift how a particular work can be contemplated. What do you look out for when assessing a body of work or an artistic proposal? I see what the work is trying to do thematically, how the artist or photographer is thinking, commenting on or articulating what the work is about through the content, form and installation, if that follows a lineage of the medium, how it sits with similar work from the period, or how it overlaps and/or deviates in terms of tropes and methods. I also look at how they are using visual language in the photograph, how they use composition, tones, colours, lines, texture in the photograph to compel, evoke, affect. Through these, I see how they are trying to push the medium, their thought process, their agenda. Photography nowadays is one of the most accessible mediums. Many people will have encountered it; most people use it. For example, they might be individual creators of images through their smartphones, consumers watching and looking at media, or members of companies and institutions that use images through marketing and propaganda. In this way, the image and photograph that is used as a document enters a very contested landscape. How it is used, who is using it, and how it is perceived and how one is asked/directed to perceive it — that comes with precedent and history. An artist or photographer communicating with this medium might then need to be conscious of how they are using the photograph. I think the challenge is for one to dare to deviate and build upon the work that has been done regarding documentary photography, to not just stick to more traditional roots in photojournalism, and imagine the potential ways documentary photography can be contextualised, considered, and questioned. What do you think are the challenges faced by photographers and visual artists seeking to present documentary work, especially in Singapore and Southeast Asia? I think it is now an exciting time to be working in this field, as the idea and definition of the documentary and document are continuously being negotiated and expanded. We can see the many ways that photographers and artists use and articulate documentary photography. It is no longer what it was, for example like how Margaret Bourke-White or Henri Cartier Besson photographed. Instead, it is already being pushed, constantly rearticulated, by contemporaries such as Munem Wasif and Chua Chye Teck, in their instances through their use of landscape and typology, where reality itself, and consequently the document, can be questioned within the image and its construction. I think the challenge is for one to dare to deviate and build upon the work that has been done regarding documentary photography, to not just stick to more traditional roots in photojournalism, and imagine the potential ways documentary photography can be contextualised, considered, and questioned. In places like Singapore and other countries in Southeast Asia with recent histories of independence and modernisation, where one’s navigation within daily life is often subject to disparate politics, economics and histories, documentary photography can have a very important role. A role that can not only create poignancy in the everyday, but also allow one to dream about the future. The Objectifs Documentary Award is now open for applications. The deadline for applications is 13 May 2019.